Being a native Philadelphian, I wouldn't dare say that we got bored with cheesesteaks (not possible), but we're always looking for ways to make good things better -- and easier to eat in a social setting with a fork. These seven insane creations mean you can spend a weekend in Philadelphia and eat a different kind of cheesesteak spinoff at every meal. Alternately known as South Street Sushi, the Philly Taco is a local legend. So what is it? Head to South Street in Philly a buy a gigantic slice of <a href="http://www.lorenzoandsons.com/" target="_hplink">Lorenzo's pizza</a>. Then head to neighboring <a href="http://philacheesesteak.com/" target="_hplink">Ishkabibble's</a> and order cheese fries, cheese on the side. This taco is best pulled-off when with a group. 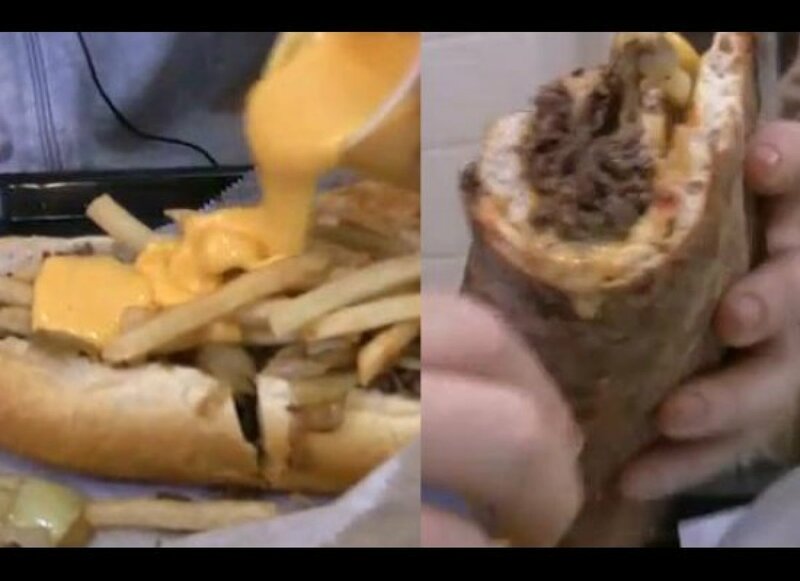 Enter <a href="http://www.jimssteaks.com/" target="_hplink">Jim's cheesesteak</a>: Send one person to order a cheesesteak, send the rest of the group upstairs with the remaining ingredients. To assemble: Cover your cheesesteak with fries, and the accompanying cheese, then wrap the whole thing, taco-style, in the slice of pizza. Consume. I guess it can be any cheesesteak, pizza and fries combination, but these three places are all a block away from each other, and Lorenzo's slices are just the right size for the sandwich. <em>More:</em> <a href="http://www.endlesssimmer.com/2011/09/09/the-philly-cheesesteak-taco/" target="_hplink">Watch the Philly Taco How-To Video</a>.